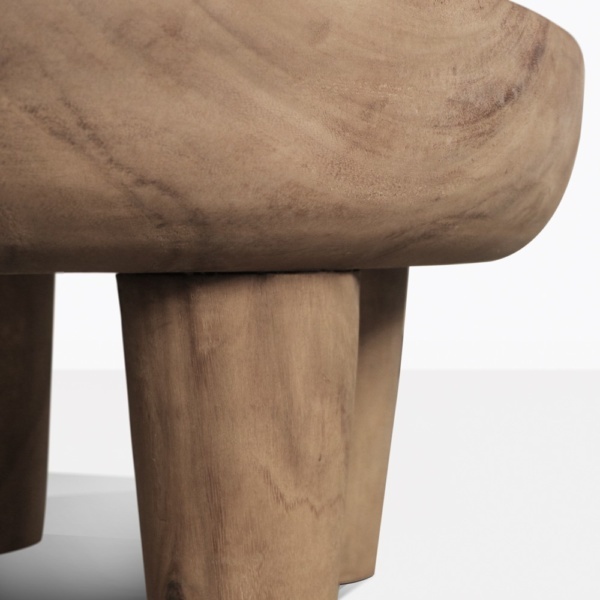 Be inspired by these truly unique and stunning teak coffee tables. 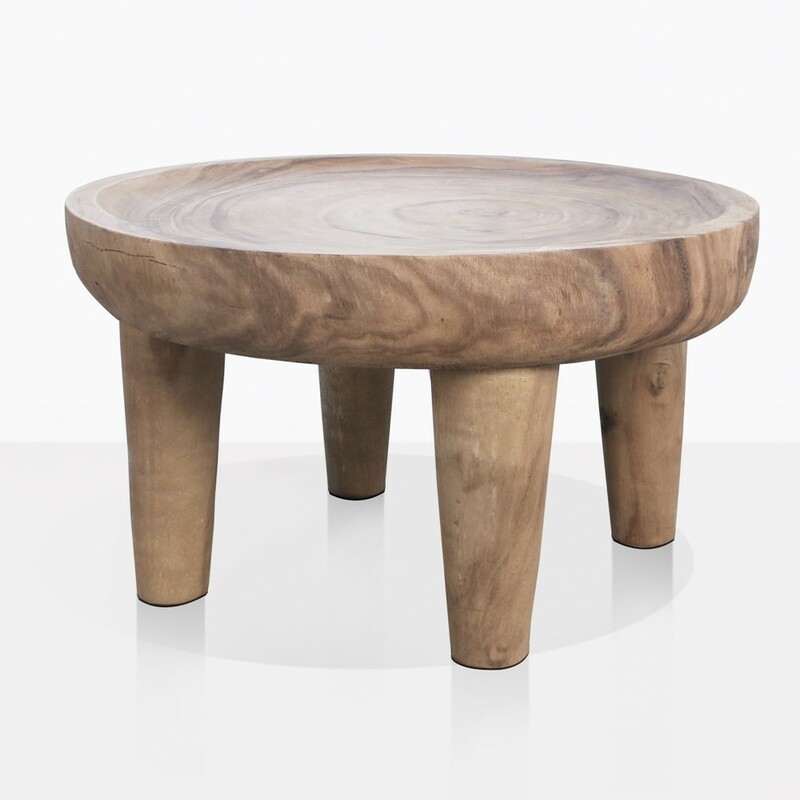 The design is reminiscent of African Stools with a rounded top and tapered legs. Each one has been artfully carved from a thick teak tree. They have been left raw and the interesting details and imperfections of the wood are what makes them so special. 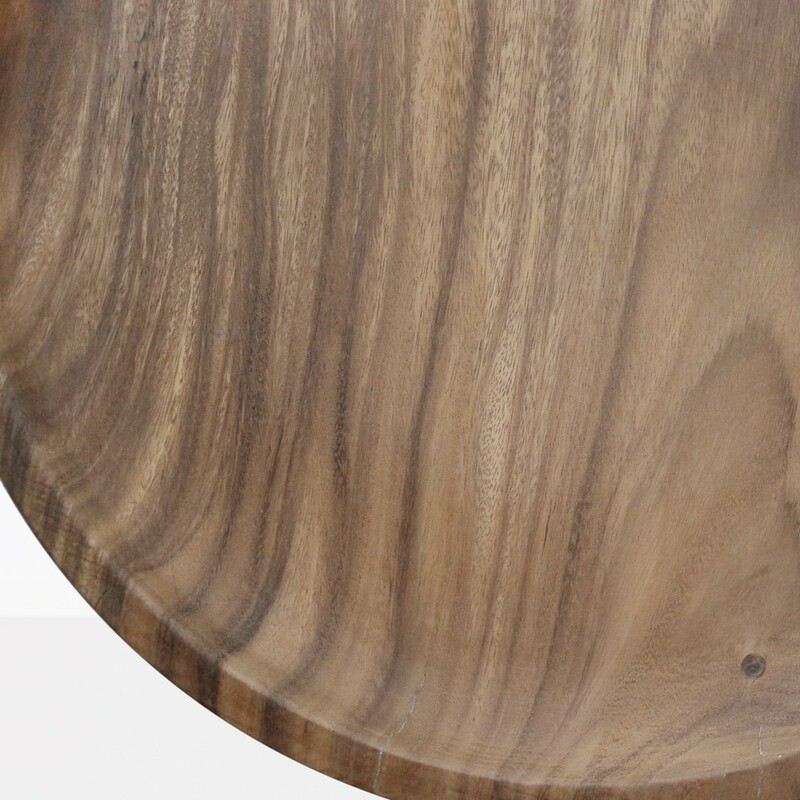 The tabletop is one solid thick piece of teak which has been expertly attached to the solid legs making this table have a solid good weight and feel. If you use them outdoors and leave them raw they will turn to a lovely aged grey over time. Please note that because these are made to be organic and unique, each one will vary slightly in size and thickness, and this makes each one special and truly gorgeous! Depending on the weather and humidity, checking can naturally occur. 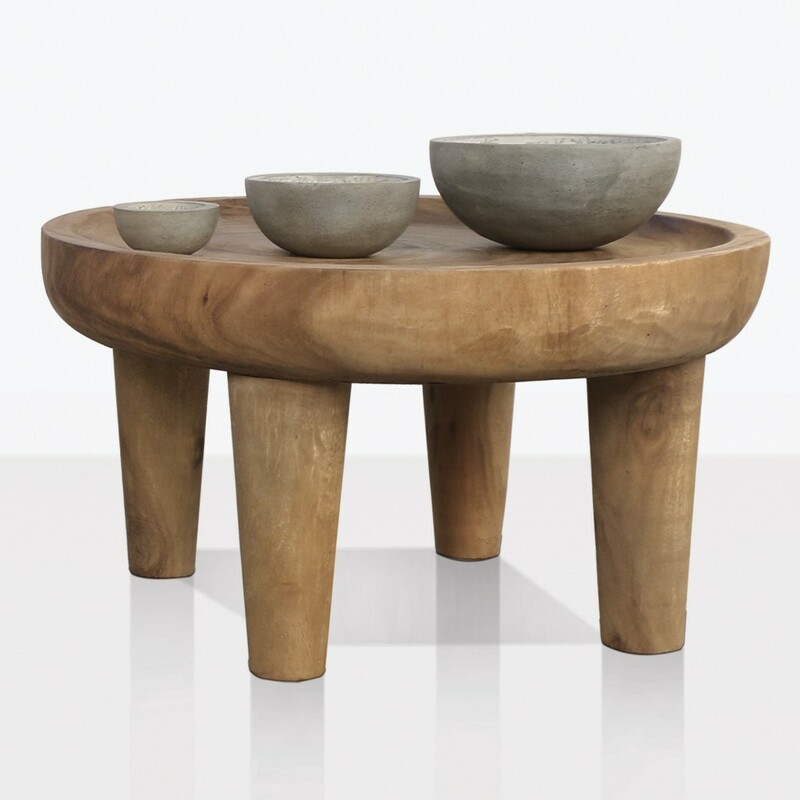 Please call us today if you have any questions about these amazing Coffee Tables.